McStriker Lauren McCourt, Carolyn Jones, John Hendy QC, Professor Keith Ewing supporting the fast food strikes and campaign. We could turn our country from one of the most unequal in Europe to one that offers decent pay and and quality jobs. 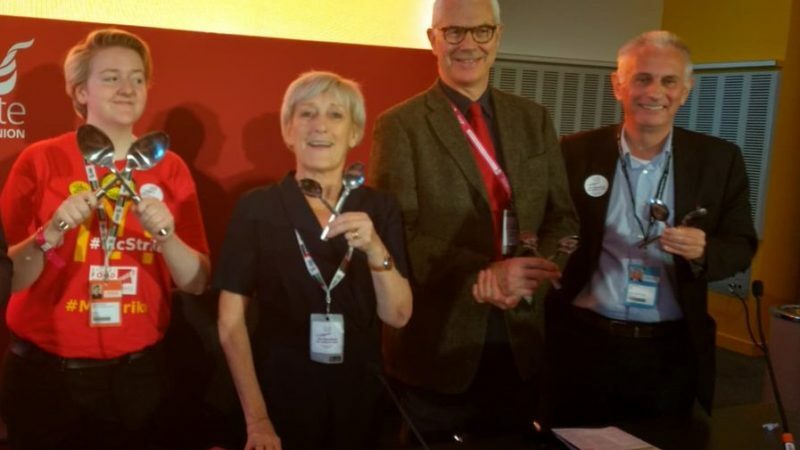 John Hendy QC is Vice president of CTUF and a Barrister at Old Square Chambers; Keith Ewing is President of CTUF and a Professor of Public Law at Kings’ College London; Carolyn Jones is Assistant Secretary of CTUF. This blog first appeared on Left Foot Forward. This entry was posted in Campaign For Trade Union Freedom News, UK Employment Rights. Bookmark the permalink.